Now that spring has finally arrived, it’s time to get your chimney swept and to service your wood burning or multi fuel stove ready for the autumn. Remove all the following internal parts – baffle, firebricks, grate and ashpan. Take care handling the bricks as they can become fragile after a period of use. To refresh the exterior look of your stove or fire, aerosol paint or colloidal black cleaner is available for most painted finishes. Enamelled surfaces should only be cleaned with a lightly dampened, soft cloth only. Click here to see Stovax’s range of Care and Maintenance products designed to help you undertake the annual service. All items are available from your local Stovax retailer. Your local Stovax retailer should also be able to arrange the annual service for you, if you prefer, or you can find details of HETAS registered engineers by visiting www.hetas.co.uk. Hello there is a lot of spilt candle wax on the top & front black section of my multifuel stove. Can you recommend a good cleaner & restorer ? The candle wax will need to be heated up and removed with something similar to kitchen roll to absorb the wax. If it leaves a mark on the paint, please use WD40 spray to try and clean it. If this cannot be removed the paint may need to be rubbed down to remove the contamination. If you do not feel comfortable doing this, please ask your local retailer or installer to complete the work. The door latch on my stove is completely stuck with what looks like burned on soot. Any suggestions as to how to clean it ? We would recommend using WD40 which can be sprayed on to the latch assembly. Further to this, we would also recommend using a small flat headed screw driver to remove the larger pieces of soot and then use an old toothbrush to remove the excess soot. Hi. There is a big buildup of flaky black carbon on the lower half of my Stovax wood burner doors. Unfortunately, when we tried to remove the glass before attempting to remove it, we cracked it. We have a new sheet of glass to replace the cracked one. Ideally we would like to remove both glass sheets, give the doors a good scrub with a wire brush and re-fit the glass. Can you give me some hints and tips before I attempt it please? By the way, the single sheet of replacement glass was £35 whith I thought was a bit steep! The glass screws are best removed by using WD40 or other good quality penetrating oil in the threads to help release them. Heat may have to be applied to any stubborn screws as well as previously applying the oil. If you are patient with the application and heat the screws should be able to be removed. The carbon build up which is on the doors can be removed with a wire brush as you say. The stove requires regular maintenance on all hinges and moving parts with high temperature grease to keep all the parts moving freely. 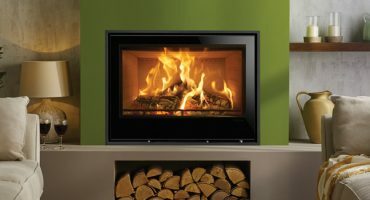 If you are unsure about any of the procedures it is worth speaking to your installers of the stove or a qualified Hetas engineer who will be capable of carrying out the above tasks. Good morning Marian, If you are looking to clean the glass from your Stovax woodburner, please refer to our, “How to clean your Stovax stove glass” video. 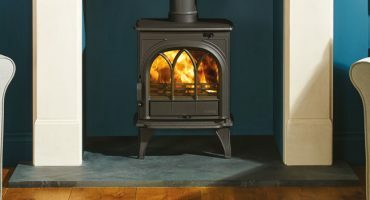 We also have a useful blog on the Top Tips on caring and maintaining your solid fuel appliance. Alternatively, please seek further advice from your local retailer. Hi there, our stove door has some burnt on fabric on the glass. I have tried to remove it but I am not having any luck, any ideas? Hi, we just had our gas burning Stockton stove serviced. The gas engineer cleaned the stove door with WD40, since which the burner is emitting smoke as it burns off. What should we do to address this? The door looks grey now compared to the rest of the black stove. What’s the best way to just clean the outside shell i.e. painted finish ? Usually just a quick dusting is the best way so you don’t disturb the painted finish of your stove. I have noticed some internal rust around the door glass in our woodburner, after it has been idle since the spring. A week ago I placed a container of silica in the burner and today have found a dessert spoon’s worth of water in it. Is this normal? I intend to rub this down and use some high temp to touch this up. Should I be doing anything more than this? The burner is not quite two years old. Your plan to rub down and repaint your stove is exactly what we would advise to refurbish your appliance however it is important that you find the source of the water to ensure that your stove does not continue to rust. We’ve installed a new multi fuel burner within the last 7 months and I’ve noticed discolouration (rusty colour) at the external joint between the stove and the flue. What can be causing this and how can it be prevented? I have just had a Stovax Stockton 3 installed. I noticed as soon as the installer had left that there were stray bits of flue cement on the flue, so wiped them off before they set with a damp cloth. The cloth was wetter than I realised and some of the cement contaminated water ran onto the stove’s flue collar. I wiped that several times with fresh damp cloths and thought that would be fine. Unfortunately the next day a pale grey bloom was still there. Do you have any suggestions as to how to remove this please without damaging the paint finish. I haven’t lit the fire at all yet, as was worried it would make it worse. Also wondering if painted finish is more easily damaged before the stove has ever been lit? 00 wire wool is not advised to be used to clean stove glass, although it is the finest grade of wire wool, it is still abrasive and will still cause abrasions on the glass. Use damp crumpled newspaper or a paper towel, dip it in ash and use this to clean wood stove glass. This method works most of the time. If the glass has a lot of build-up, try burning a couple high temperature fires in the wood stove before attempting to clean the glass. Be sure you are burning dry, well-seasoned wood and that you have enough wood in the stove to create a hot fire. While warm glass is easier to clean than cold glass, you should always wait until the glass is cool enough to touch. Use a wood stove glass cleaner, or a ceramic stovetop cleaner. 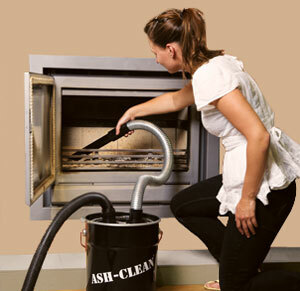 Cleaning your wood stove on a regular basis will help prevent residue build-up. Do not spray water on hot wood stove glass. Thermal shock could crack or shatter the glass. Even though ceramic glass, do not tempt fate in case the wood stove glass in your unit is not ceramic. Never attempt to clean the glass while a fire is burning inside the wood stove. Do not use razor blades, wire wool or abrasive cleaners to clean stove glass. It will leave scratches on the glass. For further advice please speak to your local retailer.